Constructed from Canadian cedar wood, this attractive, self contained cottage is located in a beautiful garden setting on the rear section of our Gold 'n Views property. Nestled beneath Mt. Karangahake among stunning scenic views and only minutes from the Hauraki Rail Trail, historic gold mining walkways, a cafe, a winery/restaurant and great trout fishing in the Ohinemuri and Waitawheta rivers. "When you have enjoyed your day, relax at the Cottage; watch the Sunset - you may see a Golden View!" "Really cosy and warm- AWESOME!" The KARANGAHAKE GORGE marks the southern end of the COROMANDEL RANGES and is part of the COROMANDEL PENINSULA. It is situated on State Highway 2 between Paeroa and Waihi. Site of the original gold rush in 1875 and steeped in gold mining history, it is now a more peaceful location offering visitors a perfect place to explore. Follow the old railway formation - now part of the HAURAKI RAIL TRAIL. It includes a one kilometre train tunnel. Walk the popular Karangahake Gorge Historic Walkway alongside the sparkling Ohinemuri River. Seek out the gold trails in the spectacular Waitewheta Gorge featuring the famous "WINDOWS" walk. Waihi beach is only 25 minutes away and the hot mineral pools at Te Aroha are only 20 minutes away. *Children under 5 years old - FREE. *Discounted rate for stays seven nights or longer! *Smokers - facilities outside the cottage are available. Pamela has a background in dressmaking and designing and is Passionate about Patchwork. The cottage displays some of her wonderful creations. She is currently involved with the Karangahake Hall committee and working with a team of ladies and students at Paeroa College, creating Boomerang Bags for public and retailer use. Loves cooking. Nigel has a background in Food Safety as a Meat Inspector, has been involved in flying light aircraft and working with helicopters. Has enjoyed competing at club level in Motorsport. Has written and published several children's stories based on his helicopter experiences. Has recently qualified as a Proof Reader. Nigel and Pamela have been operating accommodation in the Karangahake Gorge since 2004. The cottage was constructed in 2007. They both enjoy meeting guests and assisting them to make the most of their stay in this beautiful piece of paradise. Nigel is happy to give guests a briefing on the gold mining history and walks that are just a few minutes away. This is a beautiful part of New Zealand, so peaceful and quiet with amazing views. The size of the property enables us and our guests to enjoy our slice of paradise. 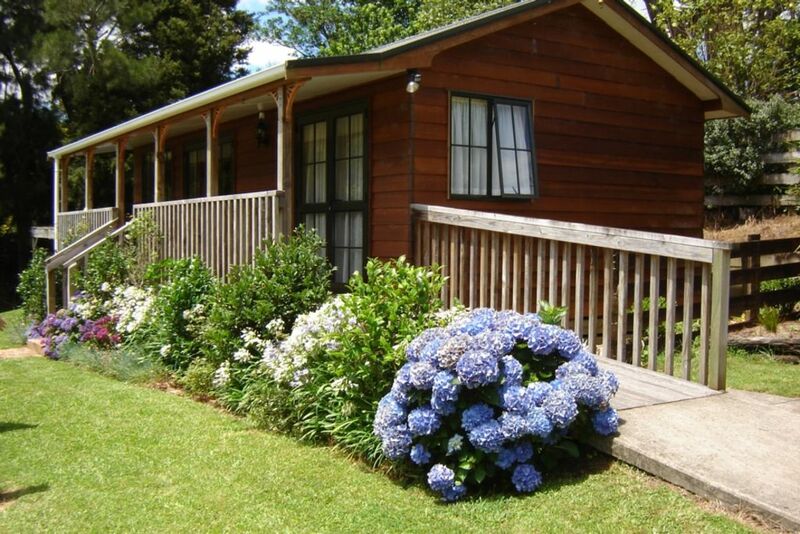 PERFECT BASE from which TO EXPLORE THE COROMANDEL. Day trips - itinerary available in Welcome book in cottage. Saves packing and unpacking. A peaceful relaxing cottage ' home' to return to. Nigel and Pam have a beautiful little Bach at the back of their property. It is comfortable, cozy and clean. It has everything you need for a great stay and it's disabled friendly. We sat outside in the evening and listened to the birds and we woke in the morning to the sound of the birds. Nigel told us all about the gold mining in the gorge and pointed out several walks. They were friendly and very welcoming and the cereal, milk etc was very welcome. We were moving onto hot water beach and as a result of the info in the book they compiled, we changed the route we were going to take...and it was a change for the better. We are glad you enjoyed your time with us. Very well cared for and appointed. Great getaway for the weekend with the babes away from busy Auckland. Nice clean little cottage where you can sit on the deck and listen to the birds sing, watch the sunset on the mountain view. Peaceful and cosy, this cottage made us feel super relaxed. Spent the Saturday on our trail walk. Was such an amazing experience!! And only a short distance from the cottage. Went for a picnic and swim at Owharoa falls. Had such a wonderful time. Nigel and Pam such lovely hosts. Nigel was very informative on activities around the area. Cottage was filled with all necessities needed. Shower is to die for! Thank you Nigel and Pam for sharing your special little piece of heaven with us!! We will be back. We are glad you enjoyed your stay in our 'Little slice of Paradise'. Lovely cottage. Everything we needed for a comfortable stay. Our hosts Nigel and Pam we welcoming and helpful especially about the local history. We loved the rail trail for cycling nearby. Fabulous and quiet with everything we needed. We arrived late from Auckland and it was lovely to have Nigel and Pamela welcome us to their peaceful, quiet little piece of paradise. We took Nigel's advice on walks in the area and walked about 15kms to see all the sights. Then to sit on the front verandah of the cottage and take in the country scenery was just the best after a big day of walking. Wonderful, relaxing cottage spot for exploring the area. We enjoyed our time there and the hosts, Nigel and Pam, put great effort into the house, property and all the details. We are glad you enjoyed your time in our 'slice of Paradise'. Our Welcome book includes maps and brochures detailing walks through gold mining ruins here in Karangahake. Nearest town (7Km) is Paeroa.